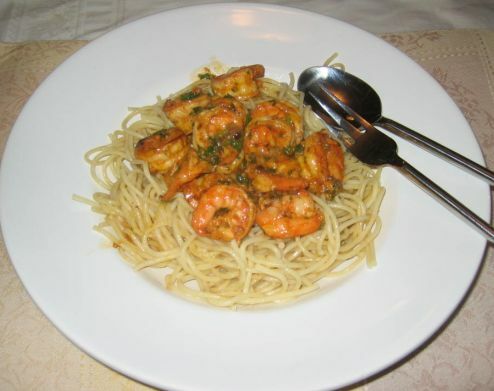 Shrimp Scampi is great as finger food or served over pasta. What I love about this dish is of course the taste but I also love that it only takes just minutes to cook. 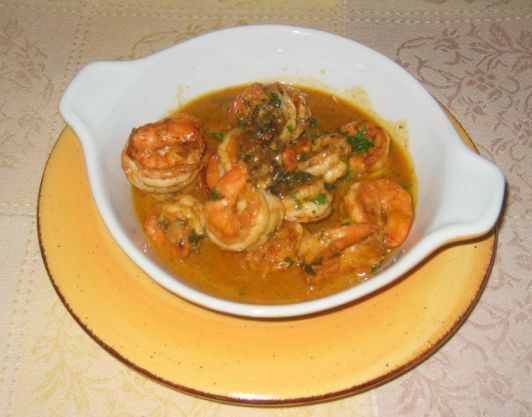 If you do not have a lot of time to cook, try this scrumptious shrimp recipe seasoned with white wine, garlic, shallot, red pepper flakes, and a dash of lemon juice. 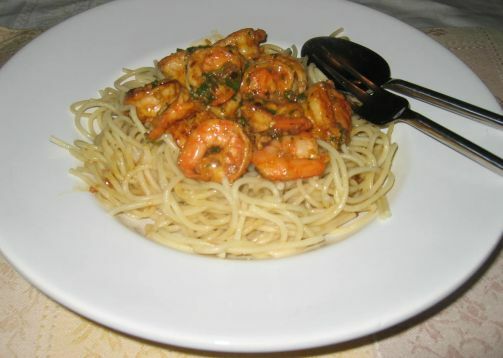 If you have unexpected guests coming for dinner, this is a good dish to prepare assuming that you have frozen shrimp laying around in your freezer! 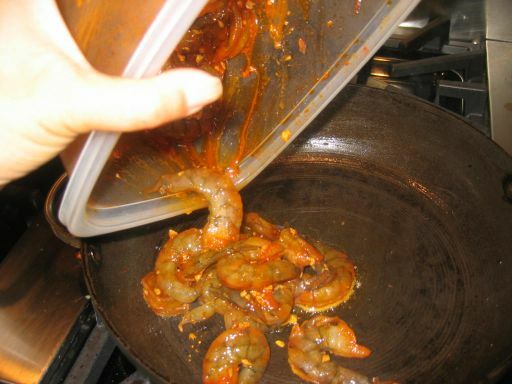 The shrimps are so tasty when they are cooked correctly! 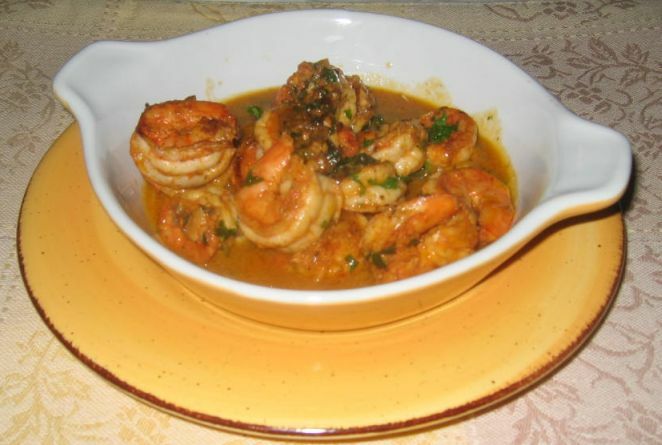 Toast a couple slices of bread to mop up the sauce and it is a wonderful appetizer. 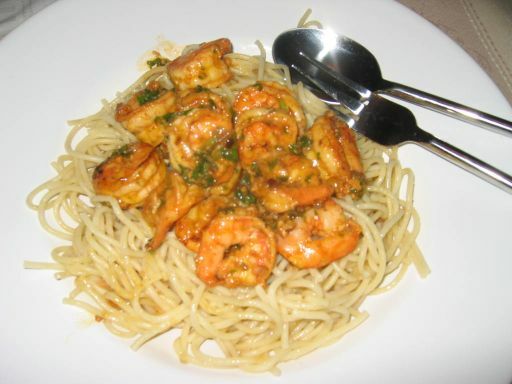 The shrimp scampi is also perfect over spaghetti! 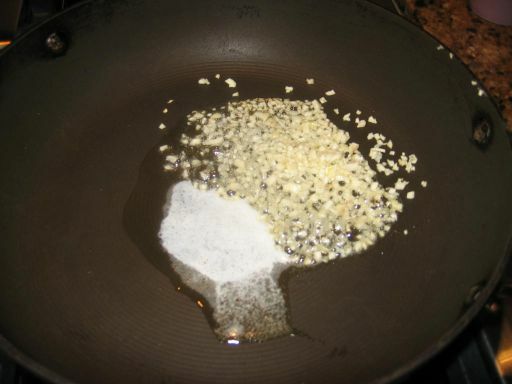 Garlic is added to melted butter and oil. 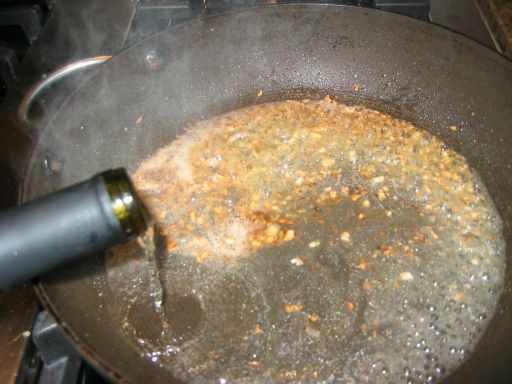 Once the garlic is brown, wine is added. 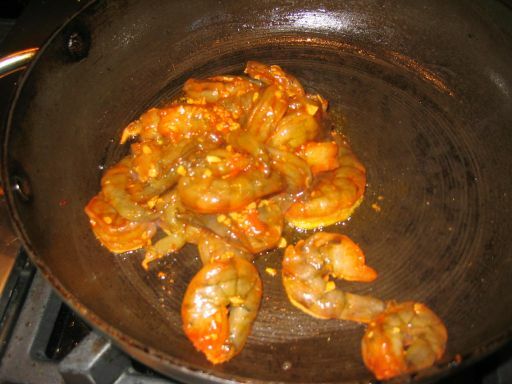 Then the marinated shrimps are added into to the pan and sautéed for a few minutes until the shrimps turned pink.